I started working with my GEMS buddy when he was in kindergarten. At that time we didn’t have any kind of official ministry for kids with special needs here at WBC. I became a buddy to my friend simply because I had heard of autism while attending a class session as part of my college course work. I guess I was enough of an “expert” after only three hours of class! My buddy and I have now been together for eight years, and I have loved watching him grow up and become a more confident and independent young man. I am so thankful that Wheaton Bible Church has created a program that trains volunteers and provides special kids like my buddy with a safe place where they can learn about God. I know that my buddy’s parents feel comfortable leaving him with me each week and that they are better able to learn about God themselves when they do not have to worry about their son. GEMS is a wonderful ministry. I hope it continues to grow and reach out to more special children and their parents. 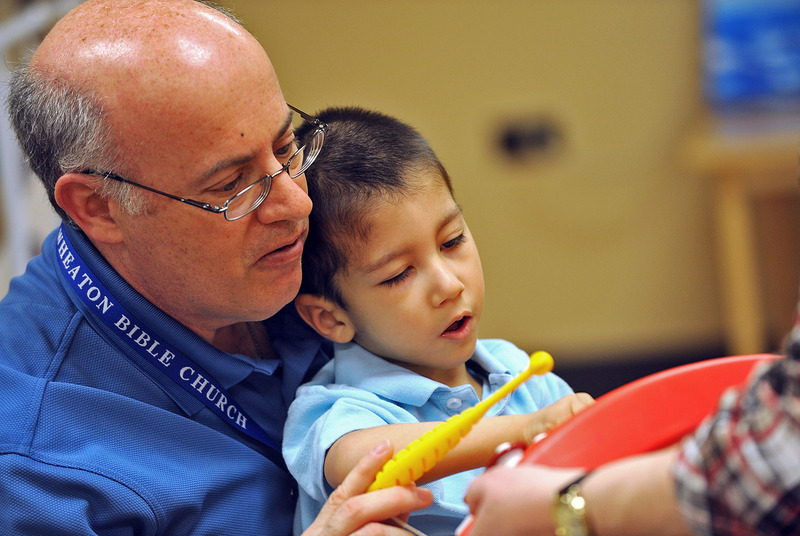 Each week at our church, you can find children and students with special needs who are growing closer to Jesus. They’re being supported in this process through GEMS—a ministry that pairs a child with special needs and an adult buddy for a unique, one-on-one connecting and learning experience. A love-filled, child-focused ministry, GEMS itself is an “extraordinary miracle” for the kids, families, and adult volunteers involved. If Jesus was on the staff of a local church today, it’s quite possible a ministry like GEMS would be among His first initiatives. “Let the little children come to me, and do not hinder them, for the kingdom of heaven belongs to such as these,” He instructs His disciples in Matthew 19:14. This account is repeated in the Gospels of Mark and Luke, indicating its importance to those familiar with Jesus’ teachings. As parents of a child with special needs soon realize, a structured program in which “one size fits most” can quickly become a hindrance to their child’s learning, growth, and feeling of acceptance. That’s why GEMS is dedicated to creating environments tailored to each child’s individual needs, while also striving to provide respite for parents. This is a huge support for the twenty-five-plus kids and families GEMS serves each week, especially since the stress of everyday life is often magnified in families that include children with special needs. Lead teacher Lynn Wood and GEMS buddy Steve Thorne interact with Devon and Kaylie on a recent Sunday morning. Parents and siblings of children with special needs face unique pressures. The divorce rate is higher among parents of kids with special needs, and siblings can sometimes feel left out, which can cause additional family issues. That’s why the GEMS program goes beyond the Sunday morning classroom in offering support. 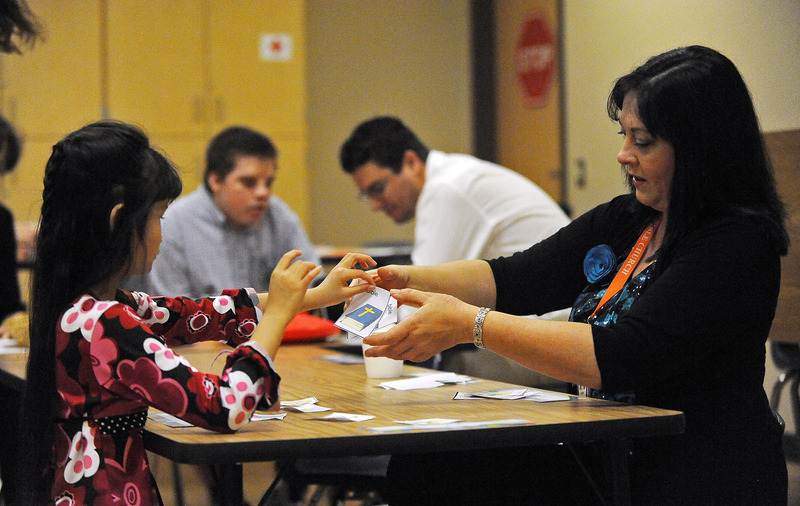 In addition to the teaching available in self-contained classrooms and in “inclusion” classes (which allow some of the children to attend regular Sunday school with the support of their one-on-one buddies), adult volunteers are also available to GEMS children at Pioneer Club on Wednesday evening. In addition, GEMS offers a Sibling Support Group, family-fun events, respite nights for parents once a month (with babysitting for the GEMS child and his or her siblings), and beginning this fall, a youth group for GEMS middle school and high school students. One of the ways GEMS children are already serving the church is through the joy and fulfillment they provide for those who work with them. Bob Klemmer began volunteering two years ago after responding to a need for more male buddies. Bob Klemmer and his buddy Jimmy. As an audiologist, volunteer Lynn Wood knows that the challenges of parenting children with special needs can be overwhelming. That’s why she decided to serve with GEMS, to help our church demonstrate God’s love to those in need. But she echoes the experience of many other GEMS buddies and volunteers when she says that she receives far more than she gives. All those working in GEMS agree. These children are indeed God’s extraordinary miracles. 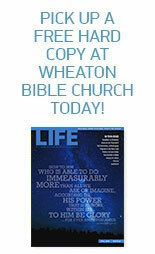 Contact Heidi Seabloom at hseabloom@wheatonbible.org. A great work for Christ and a blessing to humanity! Blake Wagner Sr.
A great work for Christ and a blessing to humanity! This entry was posted on May 29, 2012 by Wheaton Bible Church in Summer 2012 and tagged buddy, GEMS, inclusion classes, miracle, pioneer clubs, respite, special needs, Sunday School, support, volunteer.